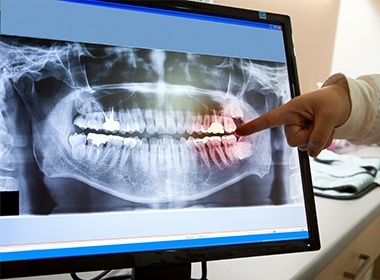 Now, when you come into the office for X-rays, a tiny sensor is placed in your mouth to emit a small amount of radiation – up to 90% less than traditional X-rays required. 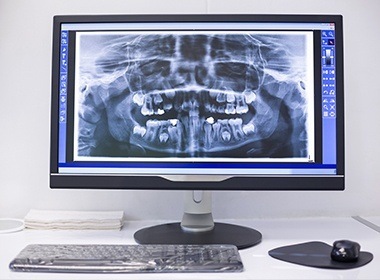 This creates a detailed image of your internal oral structures that is immediately viewable on a chairside monitor, carrying with it all the conveniences of other digitized images. We can rotate and magnify it, adjust it for contrast, and even color-code it for educational purposes. The digital images store easily and efficiently in our computer files, safe and sound. 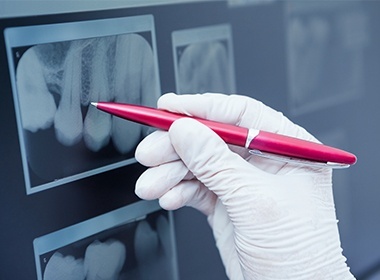 For insurance purposes, referrals, or patient education, digital X-rays can be easily, inexpensively, and accurately reproduced indefinitely.